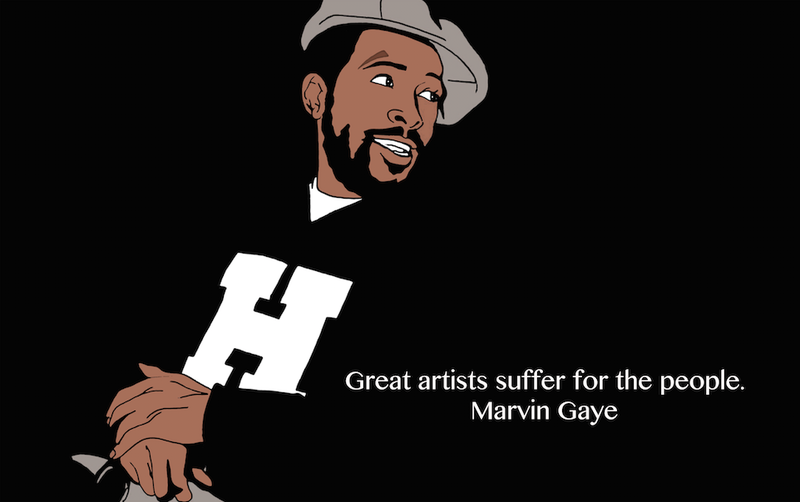 Marvin Gaye ( born Marvin Pentz Gay Jr.; April 2, 1939 – April 1, 1984) was an American singer, songwriter, and musician. Gaye helped to shape the sound of Motown Records, first as an in-house session player in the 1960s and later as a solo artist with a string of hits, including How Sweet It Is (To Be Loved By You) and I Heard It Through the Grapevine, and duet recordings withMary Wells, Kim Weston and Tammi Terrell, later earning the titles Prince of Motown and Prince of Soul. On April 1, 1984, Gaye's father, Marvin Gay Sr., fatally shot him at their house in the West Adams district of Los Angeles. Since his death, many institutions have posthumously bestowed Gaye with awards and other honors—including the Grammy Lifetime Achievement Award, the Rhythm and Blues Music Hall of Fame, and the Rock and Roll Hall of Fame.